Remember that viral photo of Rihanna and Childish Gambino rumoured to be both of them working on a ”secret project”? Yes, this one. 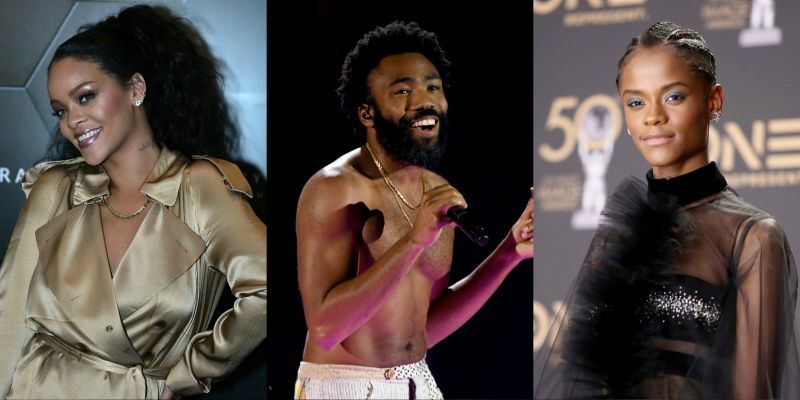 Ah well, it’s no longer a secret that everyone’s favourite celebrity Rihanna and Gambino are leads in Gambino’s Guava Island, a tropical thriller that lots of fans have been patiently waiting for. Shot mostly in Havana, Cuba, the film was written by Gambino’s brother Stephen, and directed by regualar Gambino collaborator Hiro Murai. Fun fact: Murai directed Gambino’s buzzy This Is America video, and I’m anticipating what the movie will look like in terms of direction and picture. The movie is set to premiere at after Gambino’s Coachella performance this Saturday, April 13. But if won’t be attending Coachella, don’t fret. The movie will be available for streaming (and for free!) on Amazon Prime. The plot of the movie has been kept close to the vest, but we know Gambino plays a local musician determined to throw a festival for everyone on an Island, until, I’m paraphrasing here, something bad happens. The teaser (some insist it’s a trailer) doesn’t say so much. The movie also stars Black Panther star Letitia Wright and Nonso Anozie, which I am excited for. See you guys online on Saturday. Shot mostly in Havana, Cuba, the film was written by Glover’s brother, Stephen, and directed by regular Glover collaborator Hiro Murai. Its description reads: “On Guava Island, a local musician is determined to throw a festival for everyone to enjoy.” Vanity Fair reported that it was inspired by City of God and Purple Rain. Nonso Anozie and Black Panther’s Letitia Wright are in it as well.